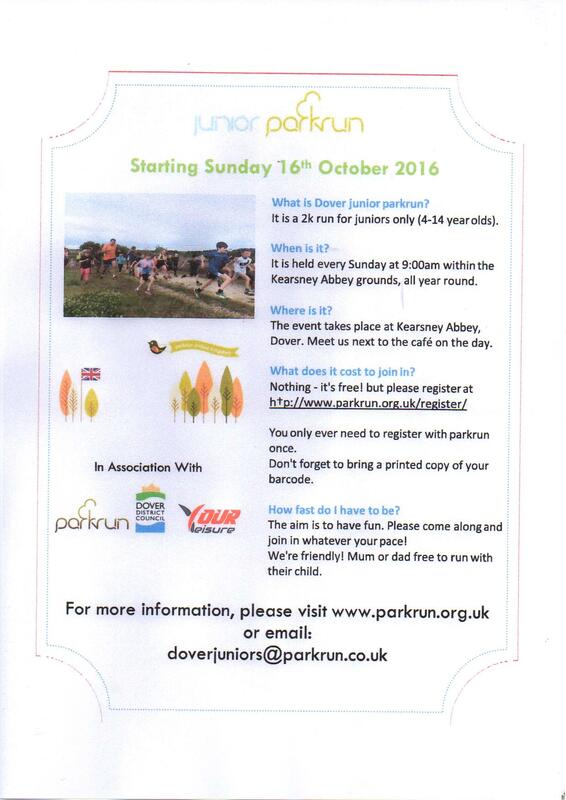 A junior parkrun is starting up in Kearsney Abbey on Sunday 16th October 2016. This will be a 2k run, free and open to anyone from 4-14 year olds. River Parish Council have made a contribution towards the startup costs for the initiative.